I am a HUGE John Grisham fan! I love his legal thrillers and always race through the book. It's been a long time since I've read one of his books though. I was immediately drawn into the story and hardly put the book down until I finished it. Lacy works for the Board on Judicial Conduct in Florida. She is single and happy to do her job and go home to her French Bulldog. She hangs out with her partner, Hugo Hatch and his wife Verna. She has a good life. Hugo is a father of four with his wife, Verna. The littlest is still just a baby and loves to keep her parents up at all hours of the night. Hugo is sleep deprived and grumpy but you can tell he loves his wife, loves his kids and loves his job. He was my absolute favorite character! Lacy gets contacted by a man that claims he has information on a corrupt judge, a mafia group and an Indian casino. Lacy and Hugo meet the man to see if his information pans out. The man, Gregory, is in hiding himself and is very cryptic. He gives Lacy and Hugo just enough information to get started. After speaking with their boss, they decide they will investigate. Now Lacy and Hugo are thrown into a dangerous game where someone is very likely to get hurt. People are killed, some disappear and others are hunted. The evidence against the judge, the casino and other key players builds up and these people are getting nervous. I loved the characters in this novel. Lacy was stubborn and ambitious and was not really afraid of a lot (other than getting behind the wheel of a car later but there is good reason for that). Hugo is just a big, lovable teddy bear and Gregory was mysterious but also a very fun character to me. This book started off with mystery and kept it going until the end. It was exciting and full of surprises. 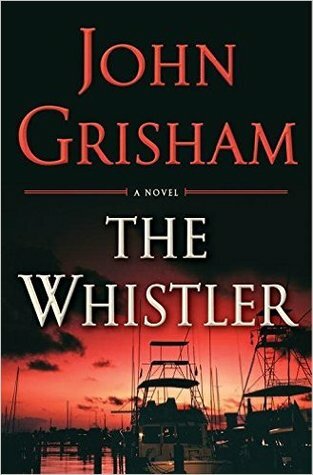 John Grisham did not disappoint me with this book! John has done it again! I know first hand how low down and grimey the justice system can be. This may be written as a fictional book but is full of the realities of the American justice system, that stinks to the high heavens! From the judges on the bench to the local police department, to the correctional officers in our prisons, it is a sad state of affairs! This book was well written! Thank you, John!